Mario Party 8 has been delayed until Q2 2007 by Nintendo's official site. No reason was given just a quiet change from March '07 to quarter 2 which would be summer time here in the states. Maybe Nintendo is giving Third Parties more breathing room. 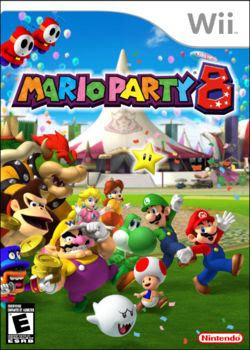 Games like Medal of Honor, The Godfather and Mortal Kombat would benefit from this kind of delay seeing that the Mario Party series has always sold extremely well no matter how much of the same old thing the games always seem to be. Here's hoping #8 will put some fresh life into the series.